On Friday night, a young boy in Chongqing demonstrated why you should never ever take a piss inside an elevator — particularly on the machine’s control panel. Surveillance video footage shows the kid whipping out his wee-wee and letting out a high-arching, steady stream of urine at the elevator buttons. However, much to his horror, after he’s run himself dry, the doors fail to open when the elevator reaches his floor. After he goes to try to press one of the buttons on the panel to make the doors open, all of the buttons start blinking and the light begins flickering. It has not been reported how long the boy had to stay trapped in that elevator before being rescued, but, hey, at least he didn’t need to use the bathroom. This is not the first time this kind of thing has happened. 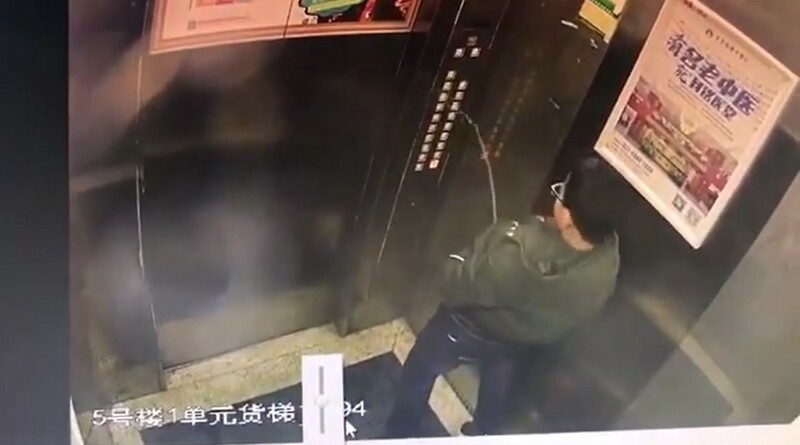 Back in 2015, a teen in Changsha also caused an elevator to short circuit with his own piss. The elevator ended up having to be shut off for two days for inspection.